I recently and for the first time had the opportunity to read The Knitting Collection ): “From the publishers of Yarn Forward (Knit) magazine. 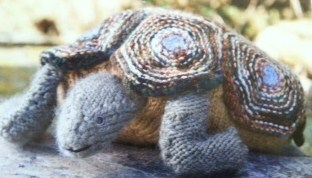 The Knitting Collection, 56 Stunning Patterns Inside!” It is curious (providential?) that I was given this journal on the heels of my series of posts on pattern construction and writing. What a great example this provides! The journal has few pages containing drawings of basic knitting techniques, a chart of comparative needle size, and a chart of knitting abbreviations. I found only one page with an ad (Manos) and two pages of “Things We Like.” (I liked what the editors liked too!) It was easy to lose myself in the pictures of everything knit. I had a certain level of (keen) discomfort (disappointment?) with the pattern construction, however. While the editors provided both charts and written instructions, charts – unless fairly critical (e.g., large intarsia patterns or lace) – were not used as often as I thought they should have been. Further, the pattern content could have been more consistent. For example, one of the sweaters utilized a “Fisherman’s Rib” but no where did the pattern either contain a chart for the knit design or indicate what exactly is a Fisherman’s Rib. It calls for “Double Knitting weight yarn, such as Lanaknit Hemps.” As capitalized, “Double Knitting” is a proper noun, but I am guessing it wasn’t intended to be the name of an actual yarn. I googled “Lanaknits Hemp” and found more than one yarn with that name. Complicating this is the stated tension (gauge): 15 stitches on a 5.5 mm needles over 4 inches/10 centimeters. Double knitting yarn is thinner than worsted, and the gauge given is more appropriate for a worsted weight yarn rather than a double knitting. The instructions are, hmmm, shall we say confusing. My hunch is that the editors were more concerned with including as many pictures as possible at the cost of quality instructions. The projects photographed all looked great, and there were multiple pictures of each project. But, if the focus is on pictures of finished knitting projects, the magazine should not be advertised by “56 Stunning Patterns Inside.” It is misleading. While many of the finished projects might be stunning, their patterns are anything but. This entry was posted in Knitting and tagged Claire Garland, Sleeveless Gilet, The Knitting Collection. Bookmark the permalink. If it’s that bad, maybe I would be better off making my own. 🙂 I’ve made other turtles from scratch. Thanks for the offer tho. Well, I think they are sharing – just making it difficult for their readers!! I most definitely would not encourage you to buy the magazine …I am happy to tear out the pages with the turtle pictures and instructions and mail them to you if you’d like. Just email me your address (sweatyknitter@gmail.com). I keep popping back over to this post, to look at that turtle picture. May have to get the issue just for that. Hubby is a turtle fanatic. Poorly published doesn’t mean I won’t take the time to sort it out and make something that cute. Hmmm, did you download it onto your iPad, tablet or PC? If so, you should be able to read it through the device. On my iPad, I read them through either iBooks or Adobe. I am a person who picks up a hook and needles and makes what they want although I do use a pattern from time to time. My friends always encourage me to “write the pattern down” but of course it isn’t that simple. Another light bulb moment from your post. Have my patterns classified as “beginner, advanced or expert.” and I love the advice of providing some detail which allows the person to decide their own skill level before they commence. I am only working on Amigurumi patterns at the moment but I love making them so much and I want others to be able to make them without frustrations. I think you could write a really interesting and fun book on pattern writing. I switch between spanish and german so any littles that are nearby (and there always are- even though I don’t have any of my own) don’t understand. Two of the most ridiculous patterns I have seen lately – in magazines: a brown “shawl” that looked like a skinny blanket knit out of yarn the size of an adult finger and then tied together at one side with a length of the fat yarn, and a bright yellow “sweater” the back of which looked as though it had been mauled by a bear. Really?! If I decided to knit and don either of those and wear around the neighborhood, I think Thor and my daughter would be REALLY worried about me and make me see a mental health professional. And thanks for the nomination too! I just visited your post! Thank you! 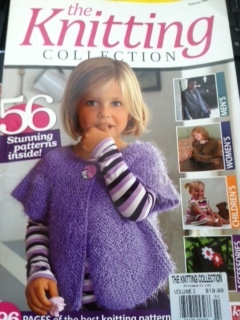 Perhaps knitting magazines and publishers should have a panel of knitters involved. Also they should research their audience to see what we actually knit and who we knit for, my guess is they’d see they need to rapidly drop the teeny-size only patterns, the ones with huge “designery” holes or rips in, the see through jumpers and tops, and the ones which are “arty” and asymmetric or blocky that just look wonky and clobbered together! It is awful that you felt “torn to pieces.” I think we should be able to make our comments without fear of being attacked. Ad hominem attacks (attacking the person making the comment instead of addressing the comment) are cowardly and unthoughtful. I have a friend who won’t use a Berroco pattern; she says she has found too many mistakes in them. I’m generally not big on frilly and novelty yarns either. I love your articles. So timely for me who is working on my own exciting line. What I have gleaned is that ultimately I would like my patterns to be simple and straightforward to cater for the person who learnt last week and yet succinct enough not to bog down the expert. I feel like I have had a pattern making tutor working along side me. (You) Also I have nominated you for an award. Pop over for a peek! I agree with everything here. Designer Knitting is a disappointment, frills and novelty yarns, tiny sizes, I have been buying this for years and I have only made one hat, Rowan is the same, and Rebecca magazine, they are not designed or laid out with knitters in mind, I wonder how they judge their success. So few people actually knit their patterns compared with the new savvy designers such as those at Brooklyn Tweed, their excellent patterns, the Look Books, stunning. I wrote about my disappointment with Rowan on the Ravelry forum and got torn to pieces, but wierdly, the ladies who were rude to me had never made any rowan designs according to their ravelry profiles lol…. It’s always a bummer when a pattern is confusing. Oh my … where to begin? Kerrie Allman has a storied history of starting magazines/websites/yarn clubs etc, taking a bunch of money and designs up front, tune declaring bankruptcy and never paying people. She has sold on her defunct magazines to her family (and in at least one case, herself under a pseudonym) and started right up again. I’m only a smallish victim — two of my designs were published and never paid for. I am not aware of the debacle you mention. ?? Given the whole debacle around Yarn Forward/KNIT/etc with Kerrie at the helm … not surprised at all that this re-publication is also a hash. I hate it when patterns list a named yarn but don’t say what weight it is or what the yardage is (4 balls of —-, etc). Having to look up the yarn and figure out the yardage REALLY irritates me. The situation that you mention above would completely turn me off the pattern! I recently purchased my first Vogue Knitting (Designer Knitting in the UK) and was a bit shocked at the way the patterns were presented. It just seems so …retro and un-user friendly. First off they do half of the above – named yarn without weight (but at least mention yardage). But the patterns – which are all lumped on text heavy pages at the back of the magazine – don’t include a picture of the project on the pattern so you have to flip back and forth between the photos and the patterns to make sure you are looking at the right ‘number’. Weird. Since I’ve been reading your series about patterns, I’ve actually looked through the instructions before buying a pattern for a nicey-nice project I’d like to do. I recently compared 2 books with patterns for doll clothes. One had 90 separate patterns and sold for $25. The other had 7 complete outfits and sold for $13. At first glance I thought “more is better” but then I realized that the 90 patterns were mixed up among 3 different sizes of dolls, and the 7 outfits were all for the 18-inch doll, which is the only size I wanted. After looking through the instructions in the 90-pattern book, I realized she made a lot of assumptions and I didn’t really have a clue how I would go about making my project magically turn into that. Almost all the sock patterns I’ve looked at on ravelry have an added correction that some experienced knitters have provided.